New England, a fantastic superyacht destination, seems to be in closer touch with its history than many other parts of America. Whaling, witch trials, Paul Revere’s famous ride and other aspects of early American history seem as if they could be part of the present. Yankee traditions are strong here, from lobster bakes with potatoes and corn to the gray-shingled houses that line Nantucket’s shores. These ragged coasts and rocky isles have always been home to seafaring folk, so a private yacht or New England luxury yacht charter is the perfect way to visit. A signature lighthouse greets you outside nearly every port. Once ashore, cobblestone streets, shuttered clapboard houses, precious antiques and piping hot chowder await. 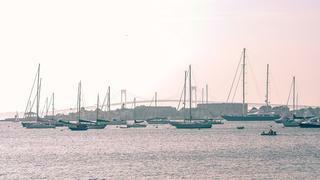 Newport, Rhode Island, with its America’s Cup heritage, has long been the gateway to New England, especially for yachtsmen. Though they lie together off the Massachusetts coast, the islands of Martha’s Vineyard and Nantucket each have their own unique character. Cape Cod is part quiet countryside, part elite retreat, and Boston is a thriving modern city that has not forgotten the role it played in the country’s storied past. History has never been more alive — or more delicious — than along New England’s coast. Day 1 - Newport It’s clear from the forest of masts rising above Newport’s harbour that this is one of the world’s foremost sailing centres. Board your superyacht and enjoy the view of the historic waterfront dominated by the white spire of 310-year-old Trinity Church. Take an evening stroll around Bannister’s Wharf and stay on to dance at the Boom Boom Room. New England, a fantastic superyacht destination, seems to be in closer touch with its history than many other parts of America. Whaling, witch trials, Paul Revere’s famous ride and other aspects of early American history seem as if they could be part of the present. Yankee traditions are strong here, from lobster bakes with potatoes and corn to the gray-shingled houses that line Nantucket’s shores. These ragged coasts and rocky isles have always been home to seafaring folk, so a private yacht or New England luxury yacht charter is the perfect way to visit. A signature lighthouse greets you outside nearly every port. Once ashore, cobblestone streets, shuttered clapboard houses, precious antiques and piping hot chowder await. Newport, Rhode Island, with its America’s Cup heritage, has long been the gateway to New England, especially for yachtsmen. 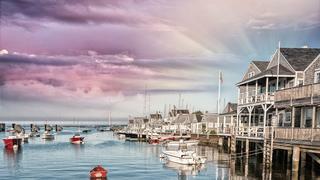 Though they lie together off the Massachusetts coast, the islands of Martha’s Vineyard and Nantucket each have their own unique character. Cape Cod is part quiet countryside, part elite retreat, and Boston is a thriving modern city that has not forgotten the role it played in the country’s storied past. History has never been more alive — or more delicious — than along New England’s coast. It’s clear from the forest of masts rising above Newport’s harbour that this is one of the world’s foremost sailing centres. Board your superyacht and enjoy the view of the historic waterfront dominated by the white spire of 310-year-old Trinity Church. Take an evening stroll around Bannister’s Wharf and stay on to dance at the Boom Boom Room. 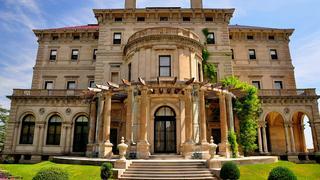 Newport’s mansions, most notably The Breakers, the Vanderbilts’ opulent Beaux-Arts “cottage,” are a must-see before cruising to Martha’s Vineyard, long-time playground of the elite. Visit The Black Dog Tavern in Vineyard Haven for chowder. Take the morning to explore the Vineyard’s narrow lanes by bicycle. Visit Edgartown the backdrop for the film Jaws it is one of the best movie locations to visit on a luxury yacht. Later make the crossing to the island of Nantucket, nicknamed “The Grey Lady,” courtesy of its shingled cottages, wreathed in roses. Shop for lightship baskets along the cobbled streets in town and stop in at the Whaling Museum for a fascinating immersion in island history. That evening, savor fresh seafood specialties at the Brant Point Grill, overlooking the harbour lights. As you wake, your luxury yacht is already heading north. Enjoy stunning seascapes as you lounge on the sun deck. 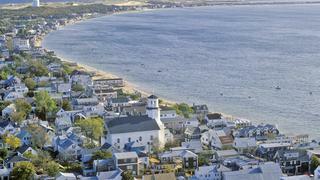 Arrive in Provincetown on the tip of the Cape’s beckoning finger. People-watching is at a premium in this artistic resort community. This might be the perfect evening for a lobster bake on the beach. A big city with a small town air, Boston welcomes visiting yachts-men with open arms. 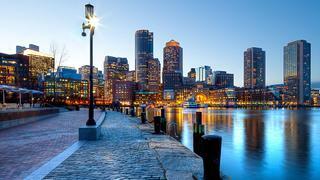 The waterfront area has more than enough attractions to fill a day, including the New England Aquarium, Quincy Market and the bustling Rowes Wharf shopping complex. 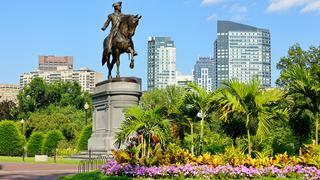 Walk the Freedom Trail for a heady dose of Revolutionary War history. Do as much sightseeing as you can before your flight. Don’t miss the USS Constitution. Lunch at one of the city’s classic restaurants such as the Union Oyster House or take in a Red Sox game.